I’m not going to beat around the bush—I am not a fan of mass gainers at all. And when I say I’m not a fan, I mean I refused to sell them when I worked for a large supplement company and it drove them nuts. I simply don’t believe in them and think 99% of them are complete garbage. In fact, I would walk into an account, they would want to purchase my mass gainer, and I would talk them out of it. The people up at corporate just about had their heads explode, but I didn’t care. By the time I walked out of the account, I had less sales and less commission, but a much better feeling about convincing the store owner to go a different route. In addition, the store owner had more trust in me than others coming into his store basically selling snake oil just to get a commission check. So, in the end it worked out in my favor since I refused to sell products I didn’t believe in. It gained me a lot of respect in the industry and in my territory. Why purchase or make a mass gainer? 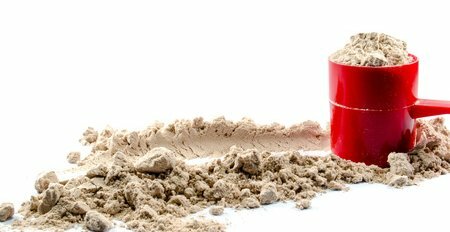 There are actually several reasons why someone would want to use a mass gainer. One reason is because they are a hard-gainer. These individuals can seemingly eat whatever they want, whenever they want, in whatever quantity they want, and never gain weight. It’s as if they have a hollow leg or something. It can be quite frustrating if that individual is looking to put on quality size and muscle mass. I should know, I was that kid who was always skinny, ate whatever I wanted, and never gained an ounce. These are also the individuals that people jokingly hate because they have an extremely high metabolism. For me, personally, once it was time to flip the switch and get serious about fitness, it felt like I was spinning my wheels trying to put on size. I’d have a surplus in calories, but nothing would ever change on the scale or in the mirror. I ended up going the route of a mass gainer, but soon after decided it wasn’t for me and started making my own in a blender. I’ll touch on this more later and why I feel it’s potentially a better option for you. Another reason why individuals use mass gainers is for that purpose solely—they want to put on mass. They aren’t a hard-gainer, yet they want to quickly add some size to their frame, so they go this route rather than trying to fit in more meals and consume more food on a daily basis. While I’ll always recommend real food over any supplements, potentially trying to add an additional 1,000 calories or so can be difficult going the real food route due to the sheer volume of food needing to be consumed. Downing a shake is an easier feat than consuming another large meal or even two extra meals to aid in your caloric surplus for the day. A third reason, but not very common in our industry, is malnourishment. If someone isn’t getting enough of the essential nutrients they need on a daily basis in order to maintain their health, some doctors and professionals will recommend they take something like a meal replacement or a mass gainer to fill in the gaps. 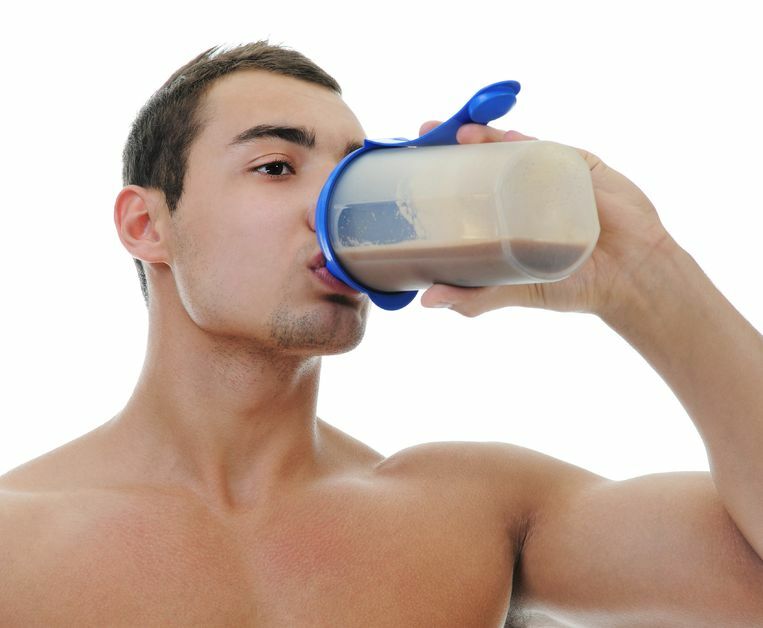 A mass gainer is usually a last resort, but if an individual is not consuming a well-balanced diet, they could benefit through the use of this supplement to add an extremely high caloric meal to their regimen. Generally, these individuals are sick, could potentially have health issues, or unfortunately not have the means to support themselves and therefore sustainable food sources, while a priority, isn’t financially feasible all the time. Which has a better profile and ingredient list? When you compare a pre-made mass gainer and one that you can create yourself, you should (key word “should”) be able to make your own and have the profile be much cleaner. Not to put down supplement companies who sell mass gainers, but the truth of the matter is that most mass gainers on the market are complete junk. They are full of sugars, maltodextrin, fillers, artificial ingredients, and other lackluster ingredients that you can easily swap for a better source of calories. I’m looking at the number one selling mass gainer on a well-known website as I type this and the profile for a plain chocolate flavor (one of the best-selling flavors for all powdered protein sources) in my opinion is terrible. In one serving you are looking at 1,250 calories, 4.5 grams of fat, 252 grams of carbohydrates, 4 grams of fiber, 20 grams of sugar, and 50 grams of protein. The first ingredient in the profile is maltodextrin. Would it get the job done? Absolutely. Is that individual probably going to put on body fat while trying to add mass? Probably. The carbohydrates could be lower, while the fiber and fat (good fats) could be higher. That would improve the profile in my opinion. What makes creating your own better, in my opinion? The ability to play with the macronutrients. We will touch on cost in a second, but for some mass gainer powders you can pay almost $4 per serving. Not for nothing, that expense adds up quickly if you’re using them every day. Going back to the macros, it makes more sense to add natural ingredients into your own mass gainer to at least provide additional health benefits rather than consuming 250+ grams of maltodextrin. You could increase the amount of healthy fats in your diet by tossing in some natural peanut butter or almond butter. In addition, you could even throw in fruit such as bananas, strawberries, blueberries, etc. to not only enhance the flavor, but increase the carbohydrates and natural sugars versus some mass gainers that pour in a boatload of additional table sugar to jack up the calories and sweeten the shake. Going back to the cost aspect of it. As mentioned above, they aren’t cheap when you break them down per serving. The same product I mentioned above is $3.44 per serving. There are eight servings in the container and it costs $27.48 (plus shipping). Let’s just use the example of $3.44 per serving and a 30-day month out of the year, and you’re looking at an expense of $103.20 just on a mass gainer. I would much rather see people purchase a whey protein powder (it doesn’t need to be anything fancy like an isolate or hydrolysate) in the form of a blend or a straight concentrate. You can get an inexpensive whey for around $0.65 per serving. To get the same amount of protein as a mass gainer, you would simply need two servings—but even then, you’re only looking at $1.30. Then you can add in your additional ingredients like your natural nut butters, use milk instead of water, toss in some fruit, and even a scoop or two of ice cream if you wanted and still have a better profile than the pre-made mass gainer products on the market (and it’ll taste a heck of a lot better too). I personally cannot give you a definitive answer since I don’t know your situation and circumstances. Would I prefer to see you make your own? Absolutely. But, I’m not naïve to think that some people are lazy and just want to drop two scoops of a mass gainer into a shaker or blender and out the door they go. This is 100% personal preference. For me, I’ve found making my own to be more beneficial. When I was using them, I found I put on less body fat compared to when I was using a pre-made mass gainer. But, if additional body fat isn’t a concern of yours, then you can go whichever direction you want with this. I’m just not a fan (personally) of pre-made mass gainers—regardless of the brand. And there are some great brands out there that I love, but I can’t support their mass gainer because to me, it’s a pile of garbage in a tub. I’d rather spend my money elsewhere like on making my own or adding addition food to my diet each day. But, I can’t blame brands for having it in their family of products. It’s a higher margin product (compared to whey alone) that fits a need in the industry. It would be great to hear from you and get your take on this debate. Let us know in the comments which you prefer—make your own or purchase a pre-made mass gainer. If you make your own, let us know what ingredients you toss in your homemade mass gainer so others can get some ideas on how they too can create their own. Your view on the ‘Curves For Women’ program?